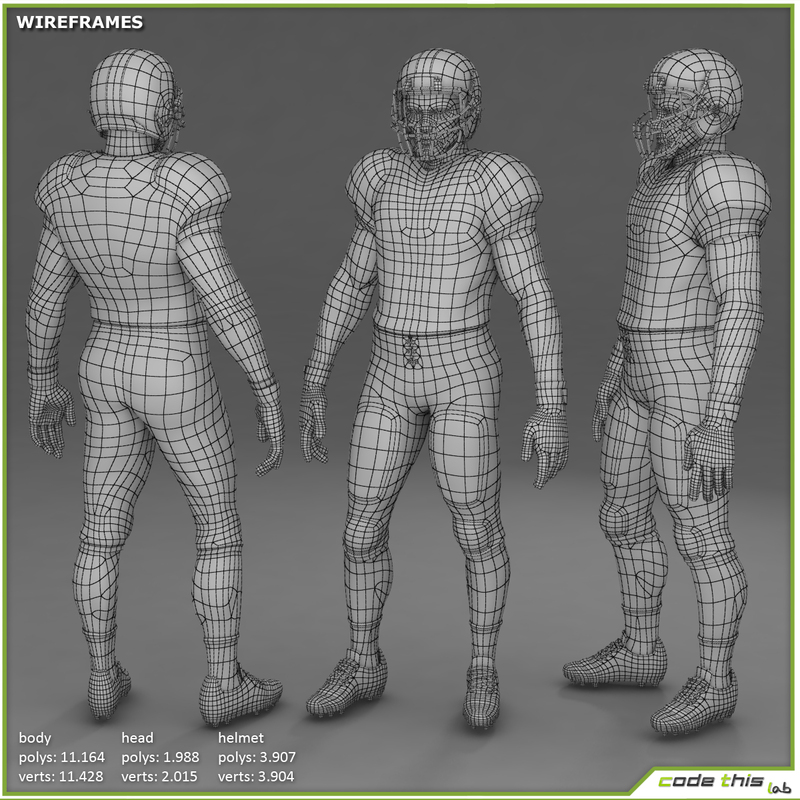 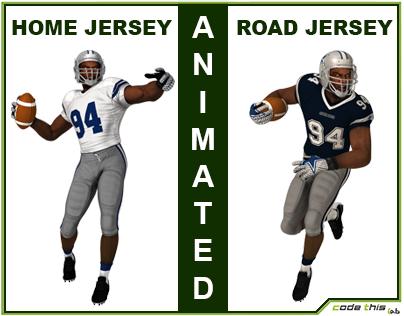 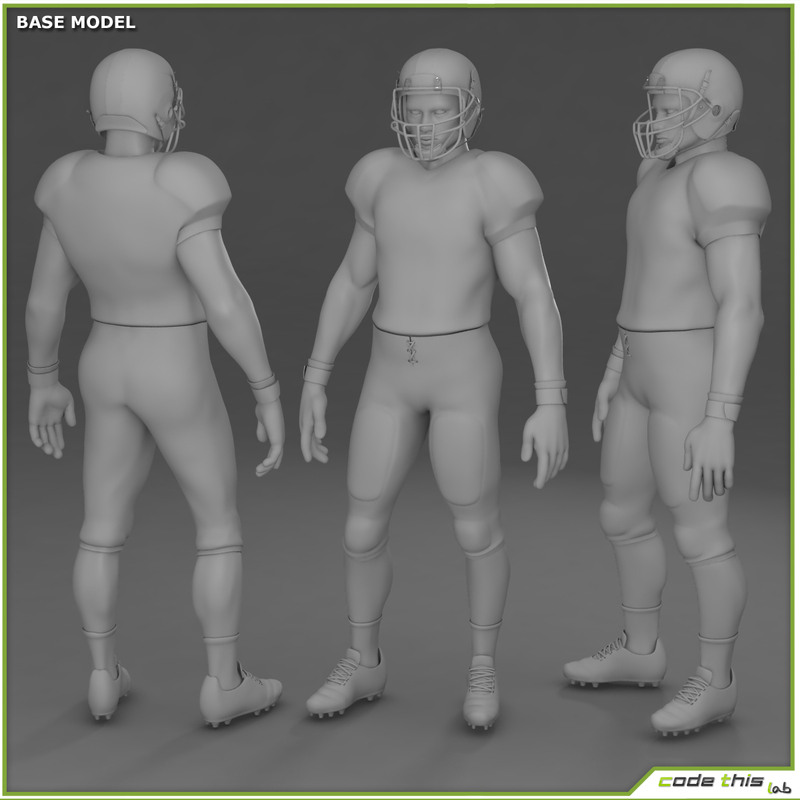 Helmet and chin strap are a single rigged mesh, which allows the chin strap to move along the jaw during an animation. 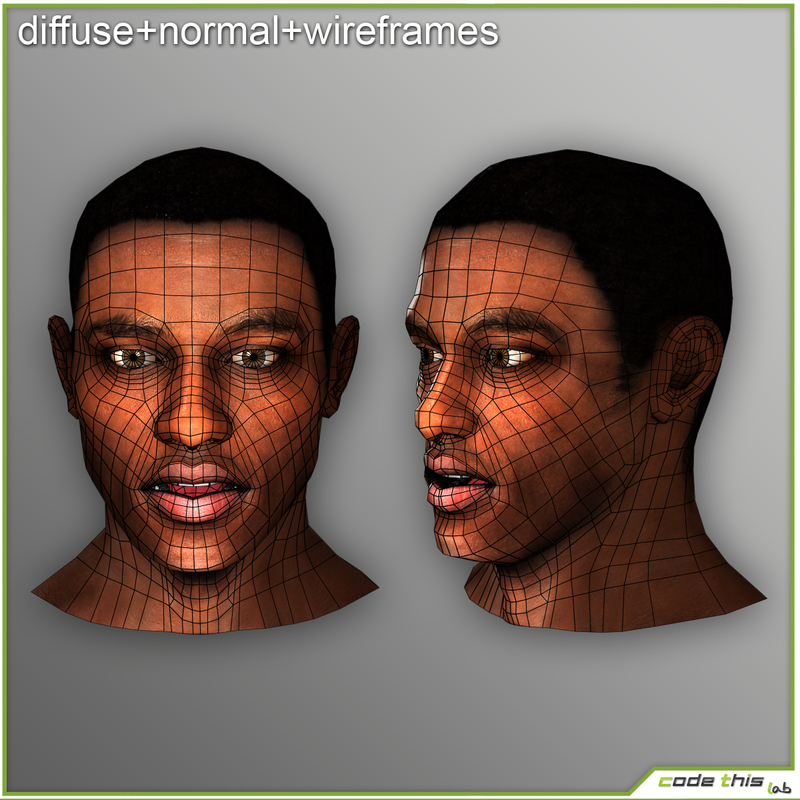 With the FBX will not be possible to reach the same level of smoothing/tesseling of MAX version. 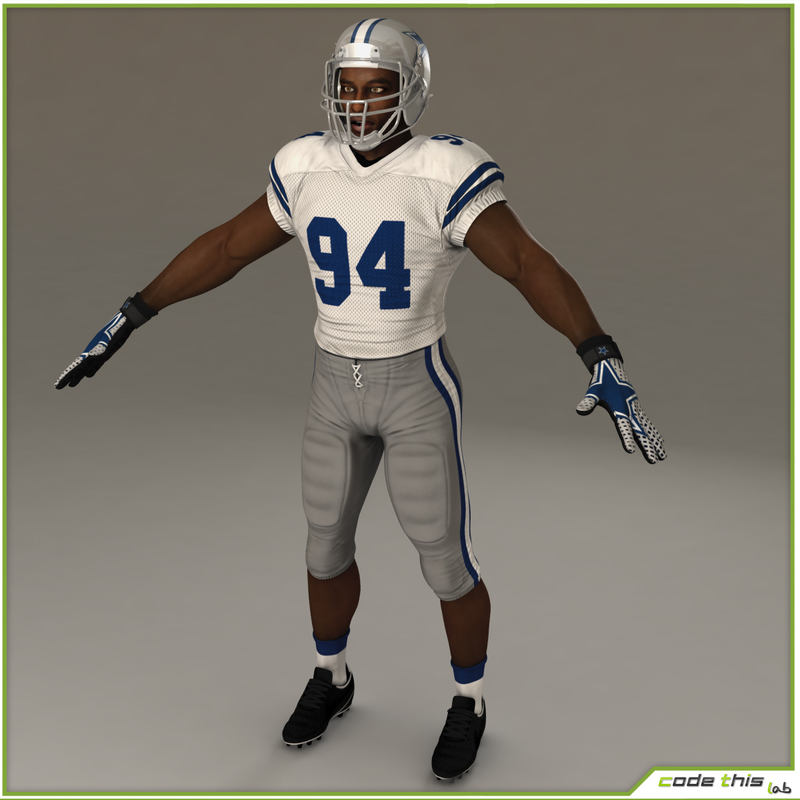 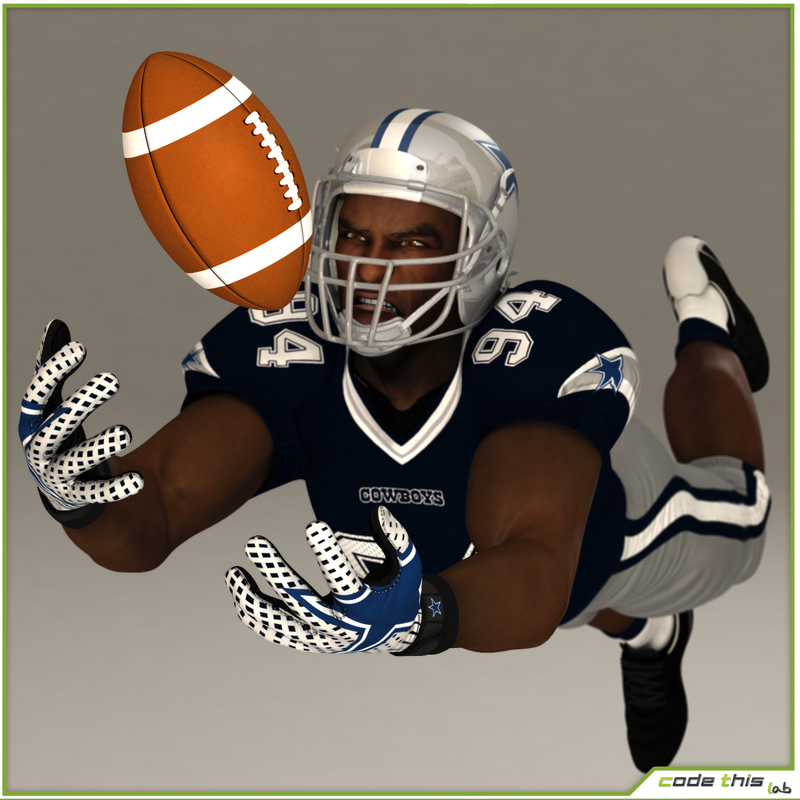 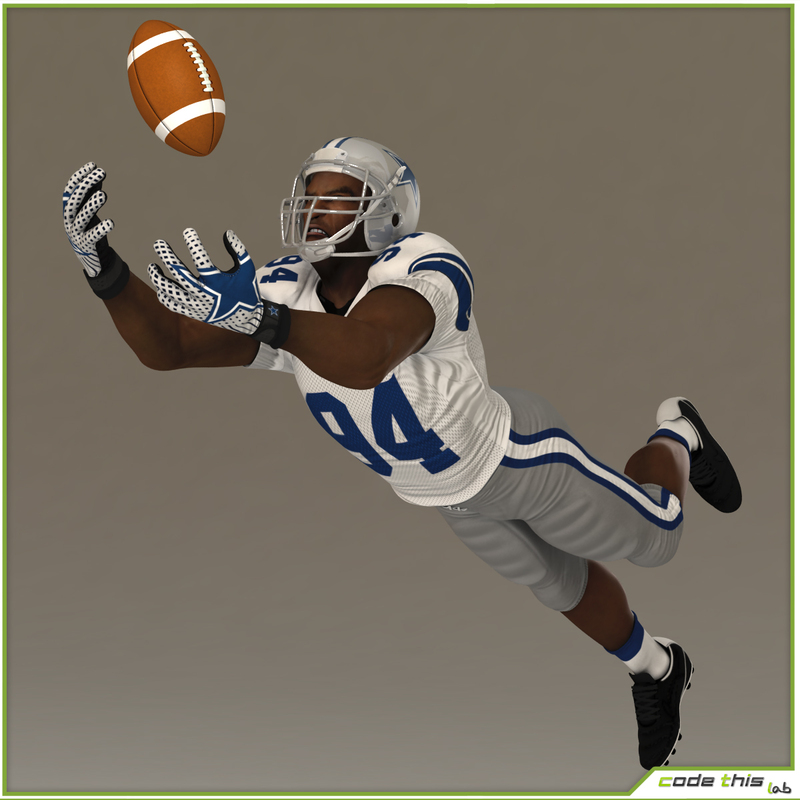 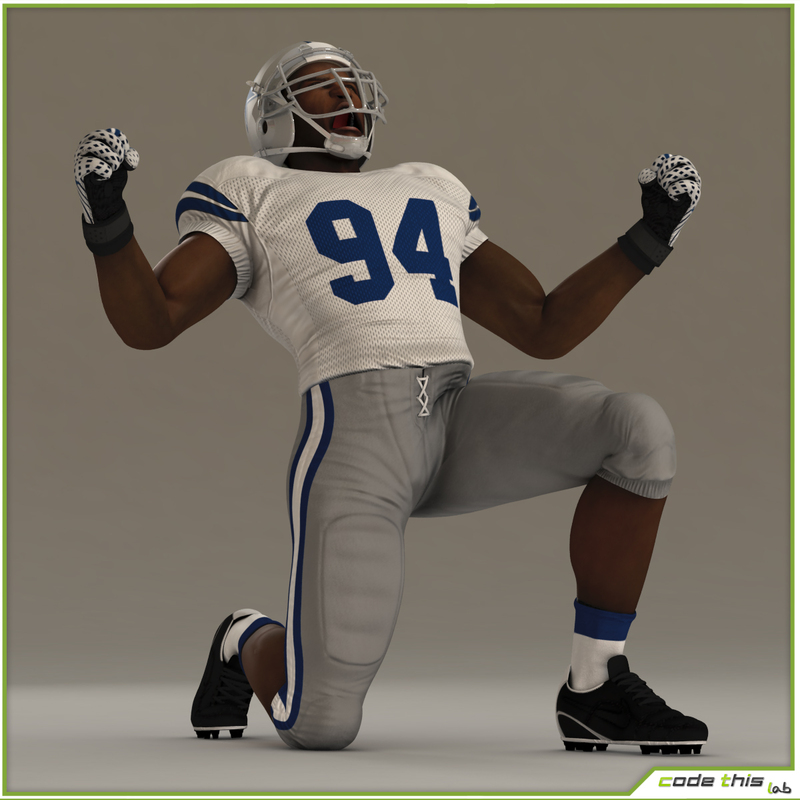 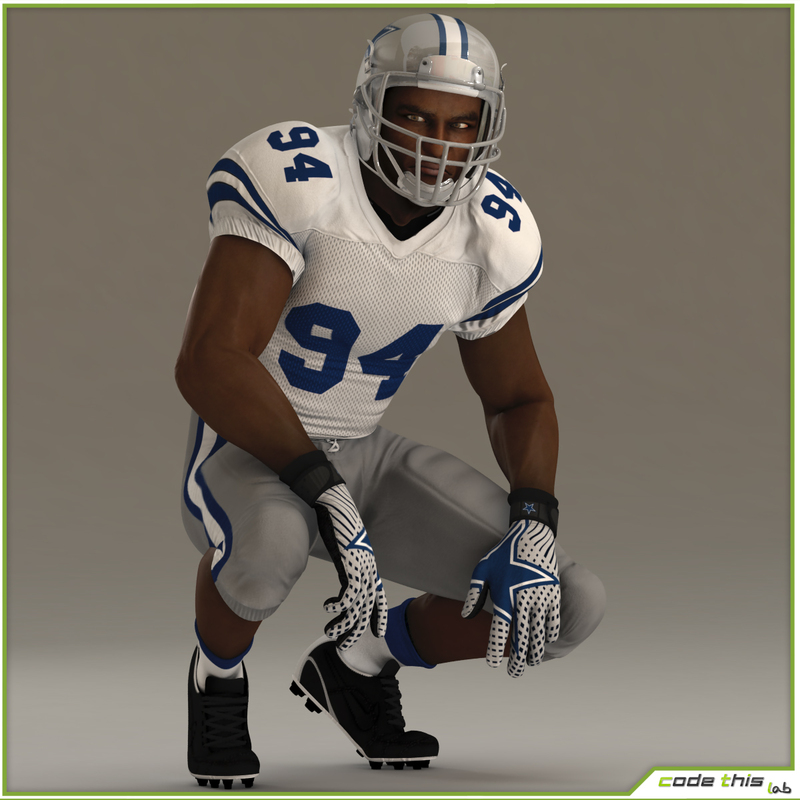 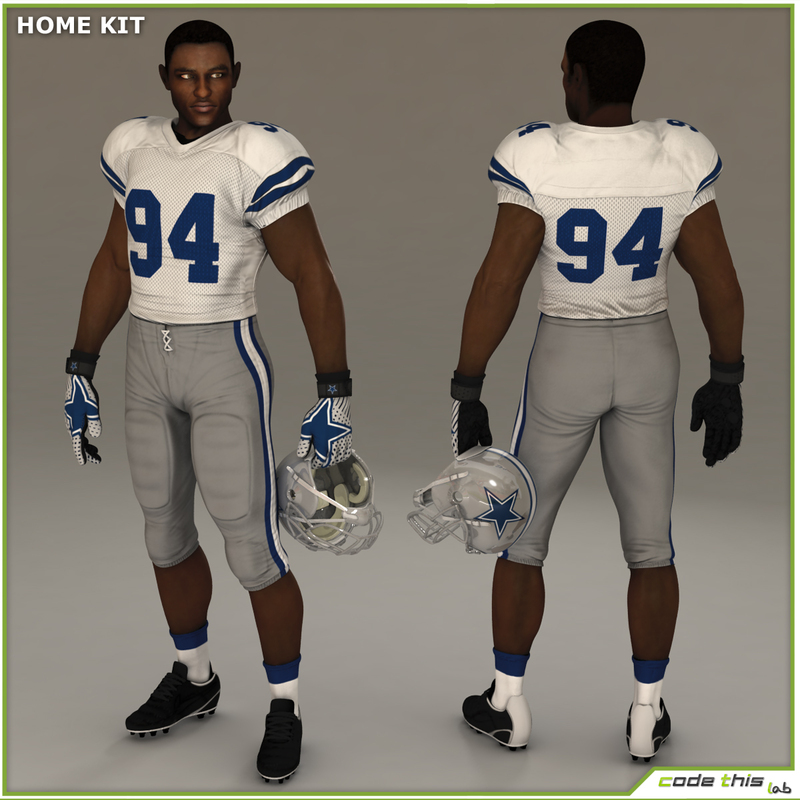 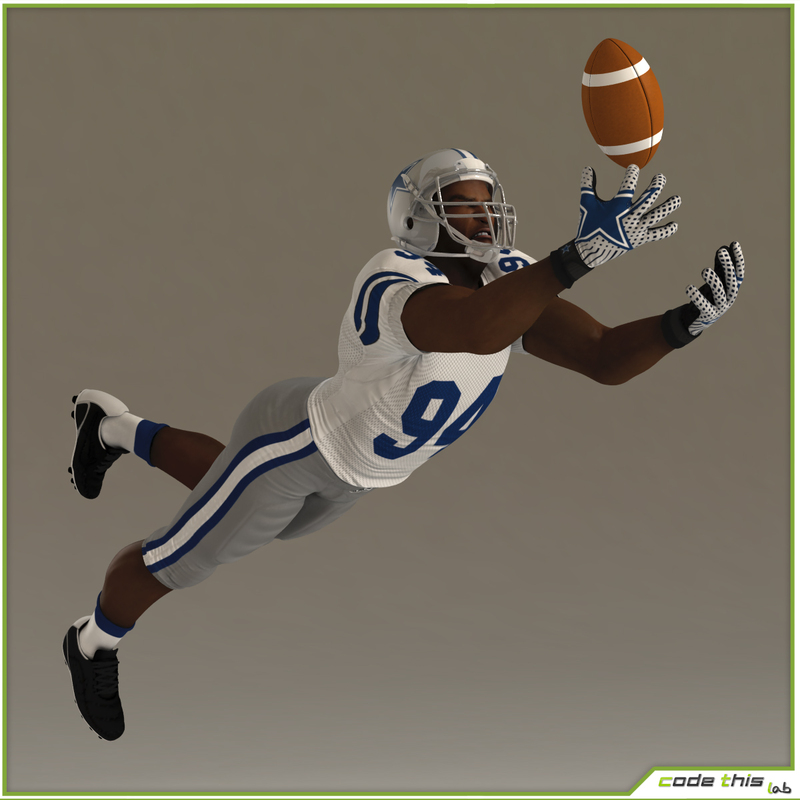 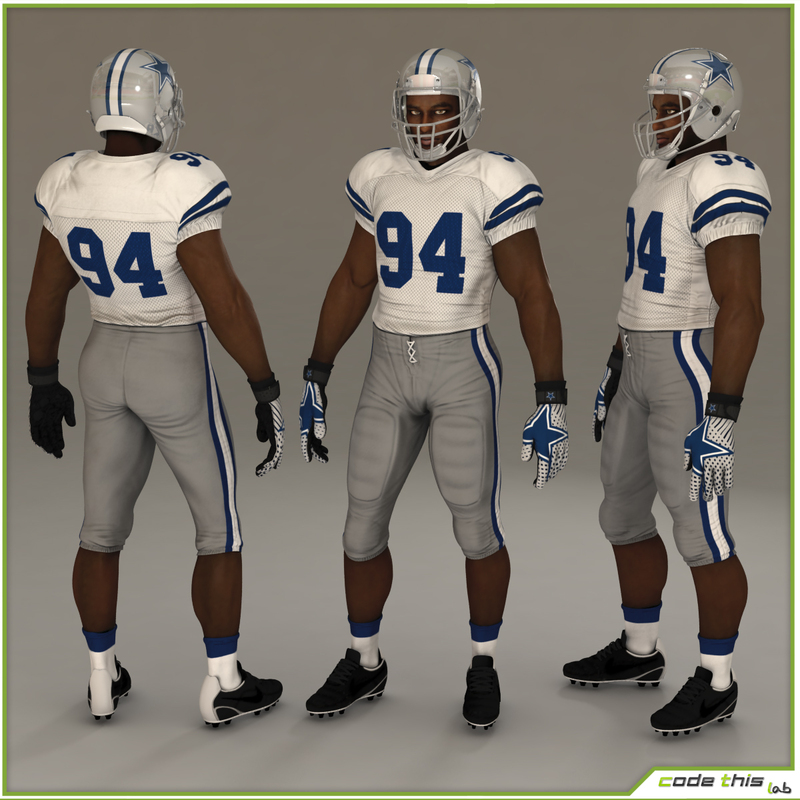 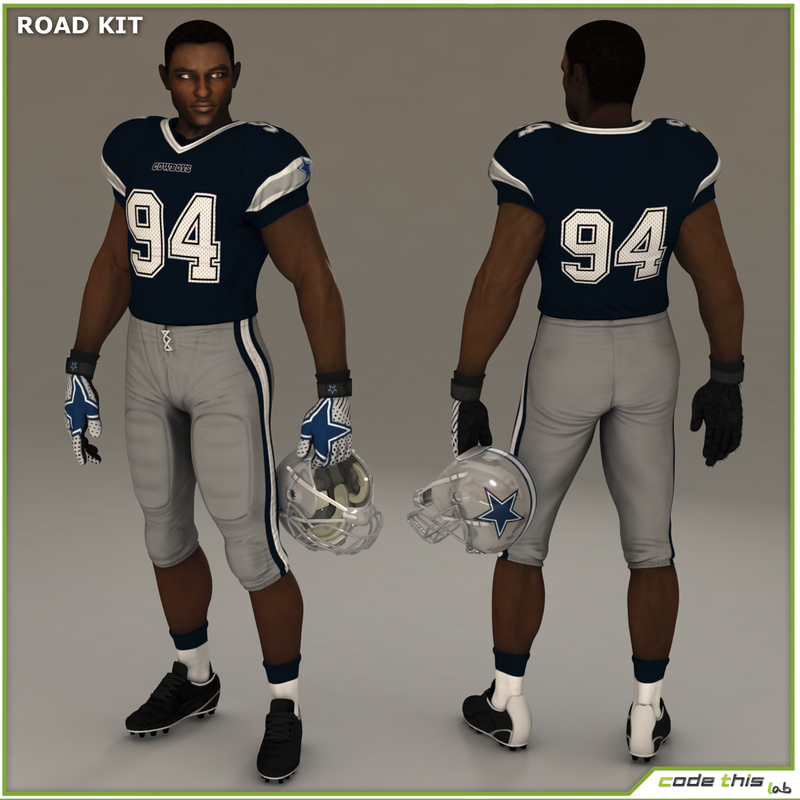 Photo-realistic football player suitable for high definition images and general animations.